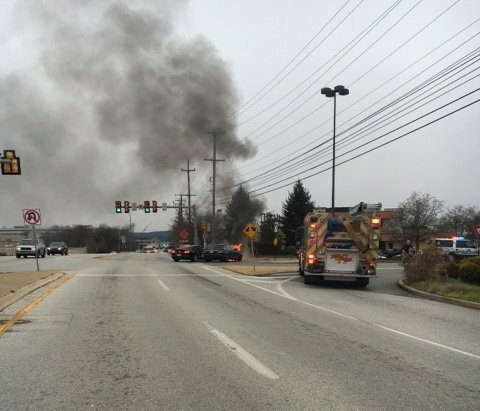 Right as the NFL Divisional Playoffs were kicking off, Station 47 was alerted to respond to a vehicle fire at the entrance to the King of Prussia Mall near Nordstrom and Seasons 52. Engine 47-2 (Asst. Chief M. Gallagher) arrived on location to find a two vehicle accident with one vehicle on fire. Crews began extinguishing the engine compartment blaze while Squad 47 (Asst. Chief A. Molchany) and Engine 47-1 (FF A. Gray) arrived and began overhaul operations and securing hazards on both vehicles. The fire was knocked down quickly and all units returned to service within 30 minutes.